You can get to us by trams 9, 24, 14, 3 to the stop Lazarská or by metro B to station Můstek and then 5 minutes on foot. If you come by car we recommend parking at Karlovo náměstí. The entrance to the building Lazarská 6/11 for foot-passengers is from a side alley Omladinářů – right next to the tram stop. 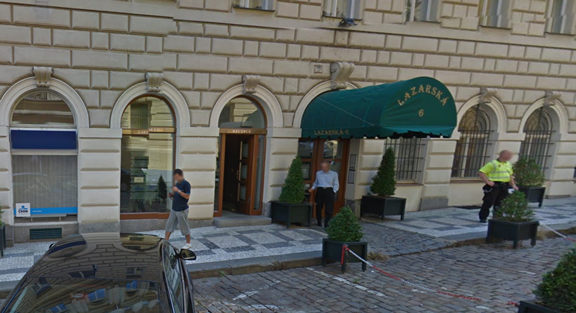 The entrance is marked by a green awning with the sign Lazarská 6.